The Vermont master-planned estate provides the perfect combination of accessibility to city living and the healthy lifestyle of a rural setting. 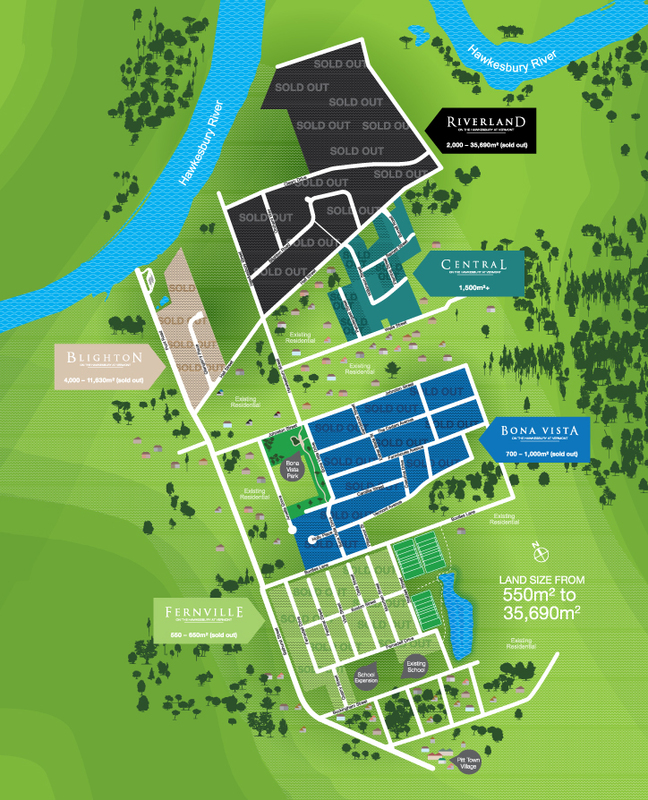 Situated near the Hills District, Rouse Hill and Norwest Business Park, Vermont’s footprint encompasses five different price points, aspects and buyers – Blighton, Riverland, Central, Bona Vista and Fernville. With 659 lots, ranging in size from 550m² to 30,800m², Vermont has unparalleled access to nature, the Hawkesbury River and an array of rural and water-based activities; whether it be horse riding, fishing, waterskiing or bushwalking. Facilities will include a boat ramp and parking to open the river-front to the community and provide easy access. With picnic areas, public amenities and a nature walk along the river, this will not only provide a focal point for residents, but also the wider community. Connected to natural gas and a purpose-built recycled water station, Vermont was one of the first areas to be connected to the National Broadband Network (NBN), providing high-speed broadband connectivity to all residents. State-of-the-art sporting facilities, walking and bicycle trails, BBQ areas and expansive parklands, Vermont provides peaceful living in a truly unique, tranquil and serene environment.